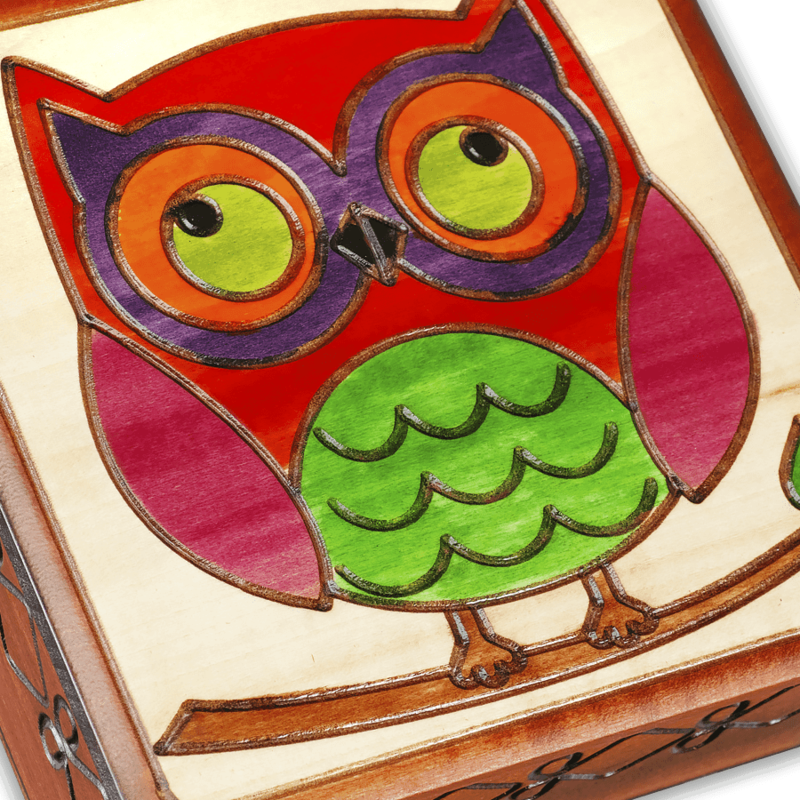 High-resolution crop of our "Colorful Owl" wooden box. Part of our Owl Trio, this colorful owl stands in a tree branch with a small green leaf. 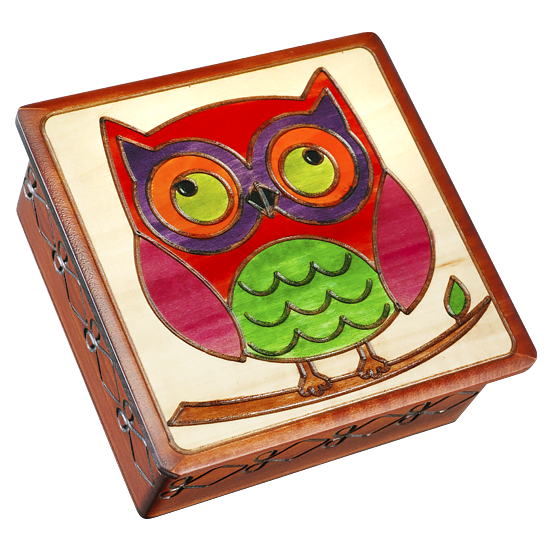 The owl features bright orange, red, purple, green, and hibiscus colors, on a wooden box with a smooth, lightly beveled lid that extends slightly past the base. The sides of this box are ornamented with a classical diamond pattern.